Russia has been quite open about playing its hacking card. 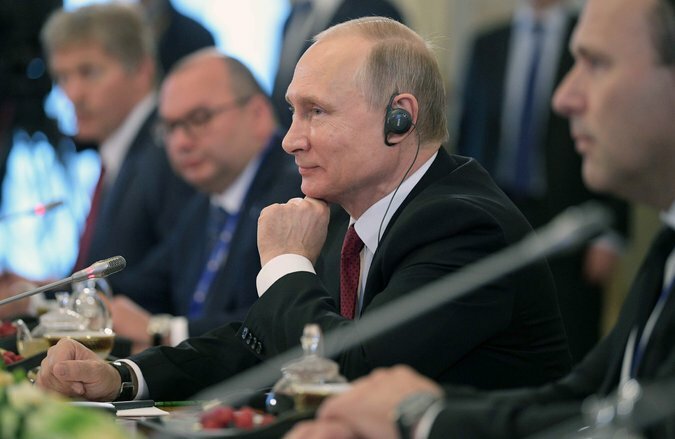 In February last year, at a conference in Moscow, a top cyberintelligence adviser to President Vladimir V. Putin hinted that Russia was about to unleash a devastating information attack on the United States. Mr. Putin’s denials of Russian meddling have been coy. In June, he allowed that “free-spirited” hackers might have awakened in a good mood one day and spontaneously decided to contribute to “the fight against those who say bad things about Russia.” Speaking to NBC News, he rejected the idea that evidence pointed to Russia — while showing a striking familiarity with how cyberattackers might cover their tracks. Mr. Putin had a point. 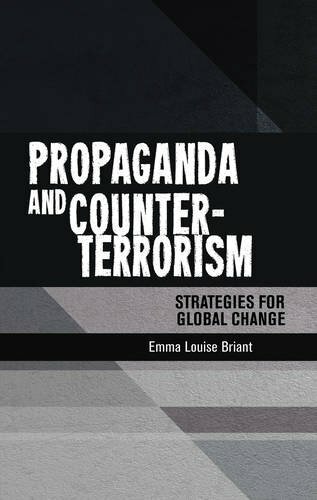 Especially in the social media realm, attributing fake accounts — to Russia or to any other source — is always challenging. In January, the Central Intelligence Agency, the Federal Bureau of Investigation and the National Security Agency concluded “with high confidence” that Mr. Putin had ordered an influence operation to damage Mrs. Clinton’s campaign and eventually aid Donald J. Trump’s. In April, Facebook published a public report on information operations using fake accounts. It shied away from naming Russia as the culprit until Wednesday, when the company said it had removed 470 “inauthentic” accounts and pages that were “likely operated out of Russia.” Facebook officials fingered a St. Petersburg company with Kremlin ties called the Internet Research Agency. Russia deliberately blurs its role in influence operations, American intelligence officials say. Even skilled investigators often cannot be sure if a particular Facebook post or Twitter bot came from Russian intelligence employees, paid “trolls” in Eastern Europe or hackers from Russia’s vast criminal underground. A Russian site called buyaccs.com (“Buy Bulk Accounts at Best Prices”) offers for sale a huge array of pre-existing social media accounts, including on Facebook and Twitter; like wine, the older accounts cost more, because their history makes chicanery harder to spot. The trail that leads from the Russian operation to the bogus Melvin Redick, however, is fairly clear. 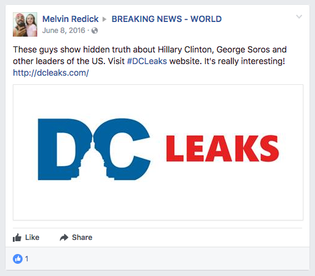 United States intelligence concluded that DCLeaks.com was created in June 2016 by the Russian military intelligence agency G.R.U. The site began publishing an eclectic collection of hacked emails, notably from George Soros, the financier and Democratic donor, as well as a former NATO commander and some Democratic and Republican staffers. Some of the website’s language — calling Mrs. Clinton “President of the Democratic Party” and referring to her “electional staff” — seemed to belie its pose as a forum run by American activists. DCLeaks would soon be followed by a blog called Guccifer 2.0, which would leave even more clues of its Russian origin. Those sites’ posts, however, would then be dwarfed by those from WikiLeaks, which American officials believe got thousands of Democratic emails from Russian intelligence hackers through an intermediary. At each stage, a chorus of dubious Facebook and Twitter accounts — alongside many legitimate ones — would applaud the leaks. The Redick profile lists Central High School in Philadelphia and Indiana University of Pennsylvania as his alma maters; neither has any record of his attendance. In one of his photos, this purported Pennsylvania lifer is sitting in a restaurant in Brazil — and in another, his daughter’s bedroom appears to have a Brazilian-style electrical outlet. His posts were never personal, just news articles reflecting a pro-Russian worldview. Inconsistencies in the contents of Mr. Redick’s Facebook profile suggest that the identity was fabricated. 123 Neither Central High School nor Indiana University of Pennsylvania has any record of Mr. Redick attending. 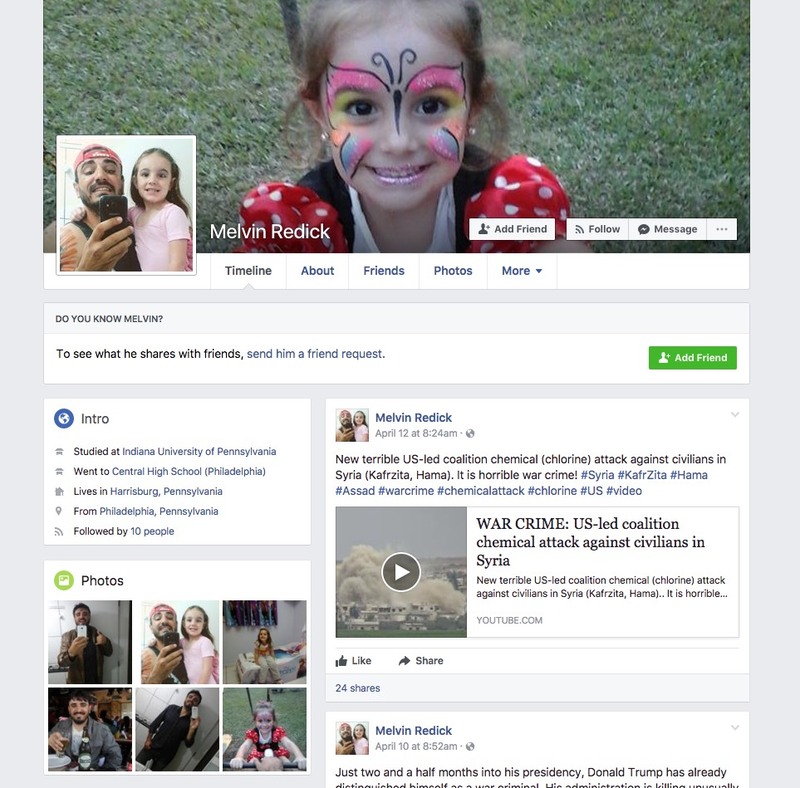 According to his profile, Mr. Redick was born and raised in Pennsylvania, but one image shows him seated in a restaurant in Brazil, and another shows a Brazilian-style electrical outlet in his daughter’s bedroom. Mr. Redick’s posts were never of a personal nature. He shared only news articles reflecting a pro-Russian worldview. 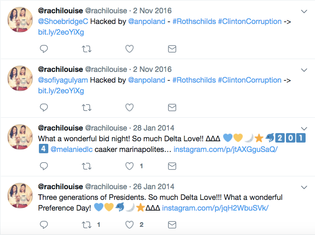 Rachel Usedom’s Twitter account was taken over and used to post political leaks.